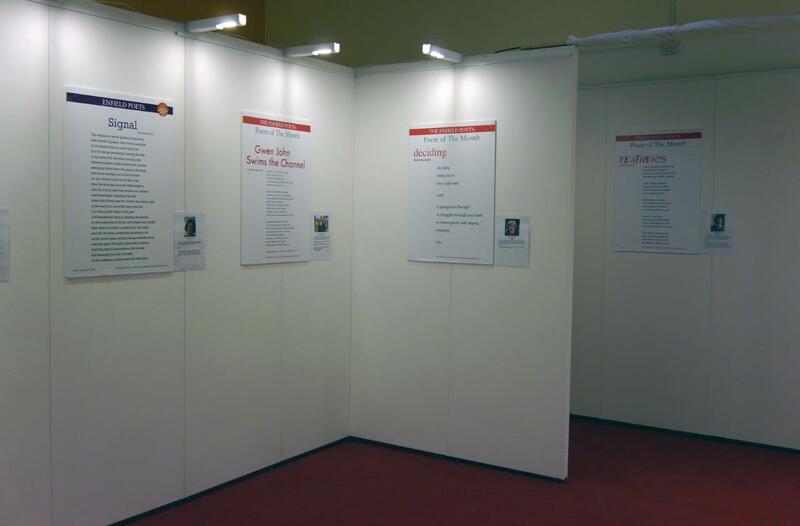 For the last 12 months, the Dugdale Theatre has displayed poems by Enfield Poets in its window and foyer. To mark the one year anniversary of the Enfield Poets ‘Poem of the Month’, the theatre is mounting an exhibition of the featured works. So, do have a look if you happen to be in the area, or browse the poems while waiting for one of our great events to start. Thank you to the fantastic staff at the Dugdale Theatre for all their support over the last year, and ‘congratulations’ to all of the poets whose work appears in the exhibition. A fabulous presentation of work that I thoroughly enjoyed reading. All so very talented. Well done on this terrific exhibition.